"Dedicated to the Business of Law"
We have successfully assisted our clients in a wide range of legal matters such as: Criminal- DUI’s, Misdemeanors to Felonies, ARD, Preliminary Hearings, Jury trials, Non-Criminal Traffic, and Summary; Personal Injury; Family, Custody and Support matters; Business formation and representation; Civil Litigation, Bankruptcy, Employment matters. In a language and cultural diverse practice, it is essential that we provide our clients the ability to be represented and understand the legal process in their own native language. We are able to translate all documents provided by our clients in most languages. In addition, we are able to provide interpreter services either by an in-person consultation or via telephone conference. The provider of these services is JBM Language Services, LLC. If you have interest in these services, you will be taken to a separate web page. 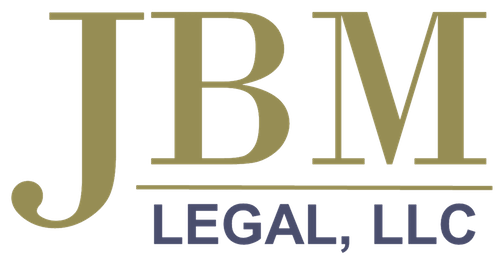 At JBM Legal, LLC our primary goal is to provide clients with quality, and affordable legal representation. In addition to keeping up to date with changes in laws and regulations, we also pledge to continually monitor the status of clients’ cases and keep our clients aware of any changes. Our clients have immediate access to their case through our case management software. We believe in developing a customized professional relationship with every client. The needs of our clients form the foundation for such relationships, and drive our efforts to remain authoritative purveyors of legal information and services. Our clients range from individual minor children in personal injury cases and special immigrant juvenile cases, to large employers in civil litigation and investor visas. In addition to being recognized for our long experience immigration matters, our firm is also committed to representing clients in all legal matters-from divorce to car accidents. Our General Practice Group specializes in family matters (divorce, custody, and support), all areas of criminal defense, personal injury, landlord/tenant and all business matters. We understand that success for our clients and for our organization depends upon our staff. JBM Legal strives to create, facilitate and foster attorney-client relationships that are tailored to the individual needs of those we represent. The dedication of our staff members provides the foundation for what we do. In short, we promise to provide the best immigration legal services possible, and look forward to being your Attorney.